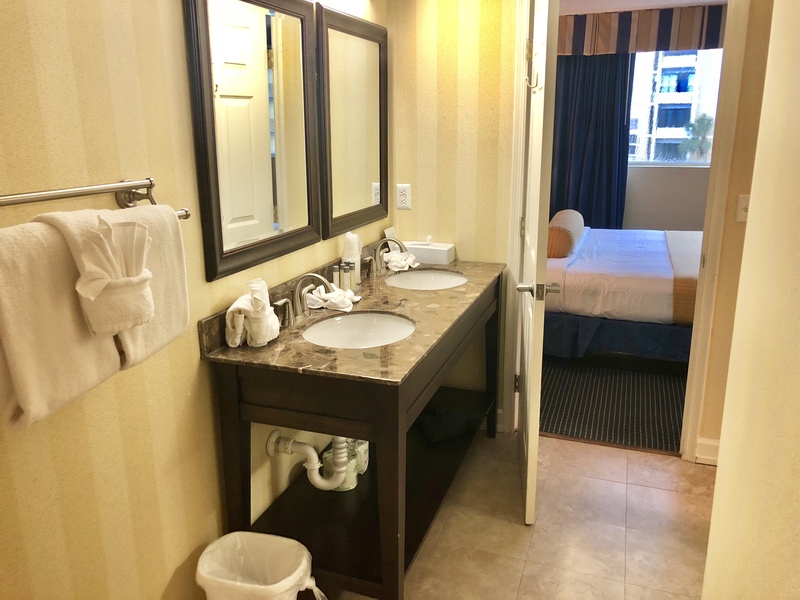 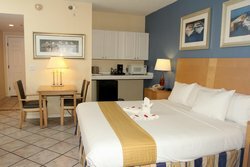 From extended stays to quick getaways, our hotel rooms in Clearwater Beach, Florida offer the calm retreat you’re looking for. 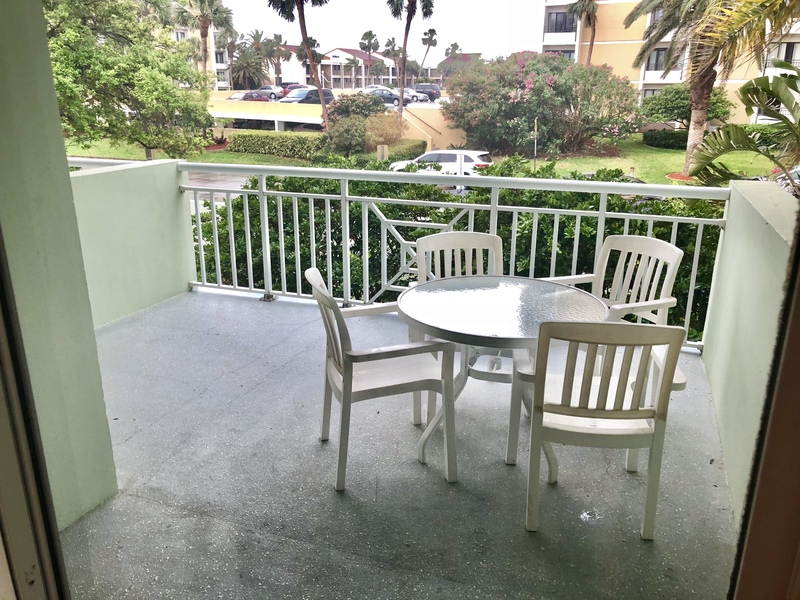 Brew your morning coffee and carry it out to a private balcony, where gulf breezes and stunning views help you greet the day. 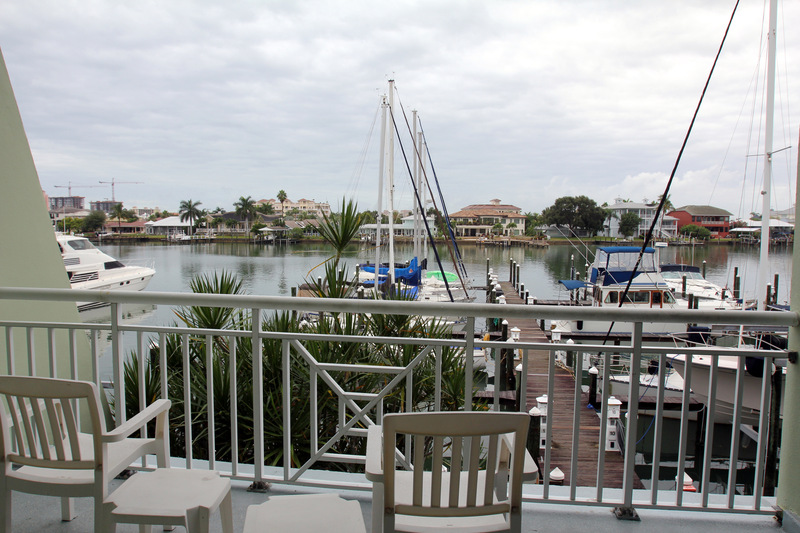 Enjoy our property’s amenities and all the best things to do in Clearwater. 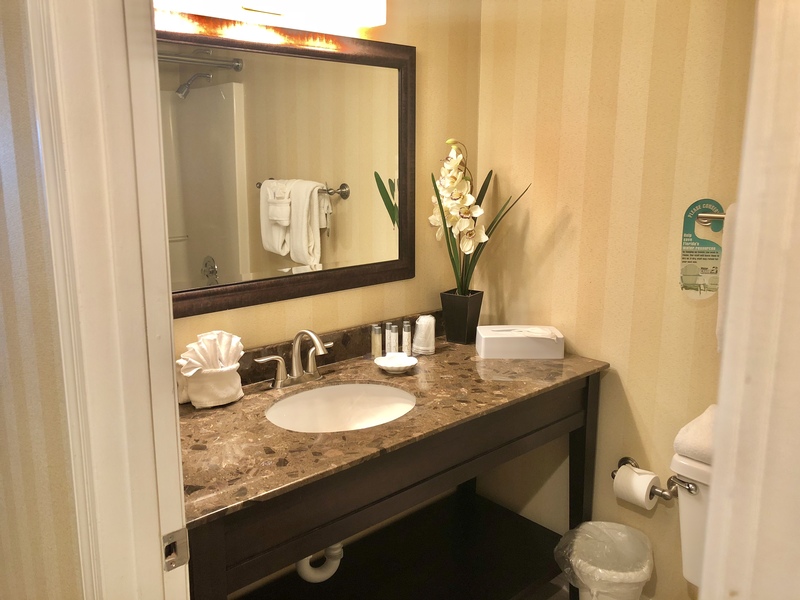 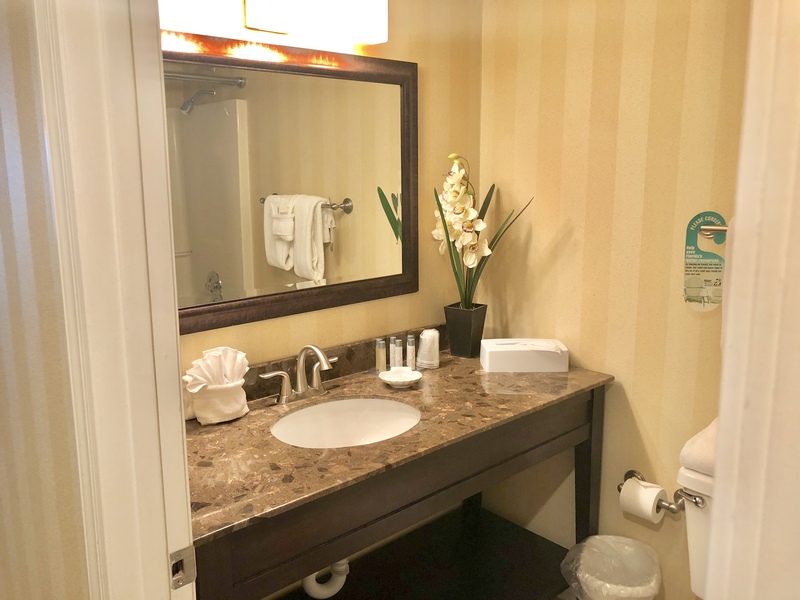 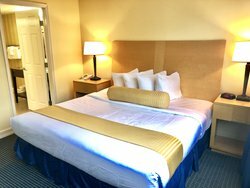 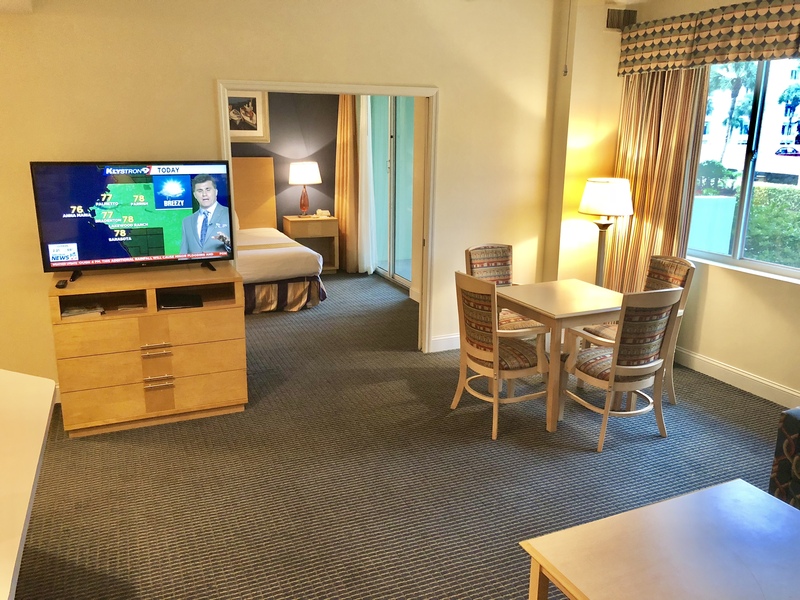 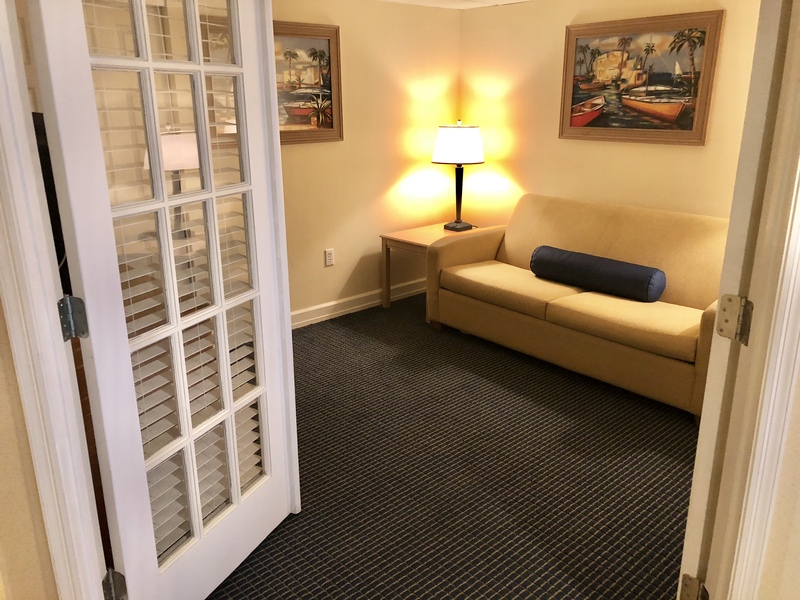 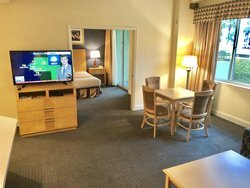 Our generously-sized king hotel rooms are equipped with a TV, telephone for free local calls, as well as a mini-refrigerator and microwave for you to whip up a snack on the go. 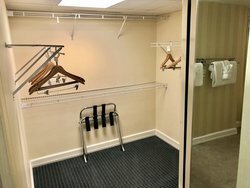 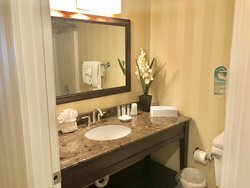 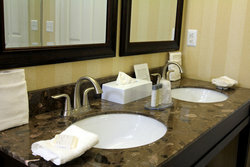 Get ready for your day in the room’s pristine bathroom, equipped with a hair dryer, iron and ironing board. 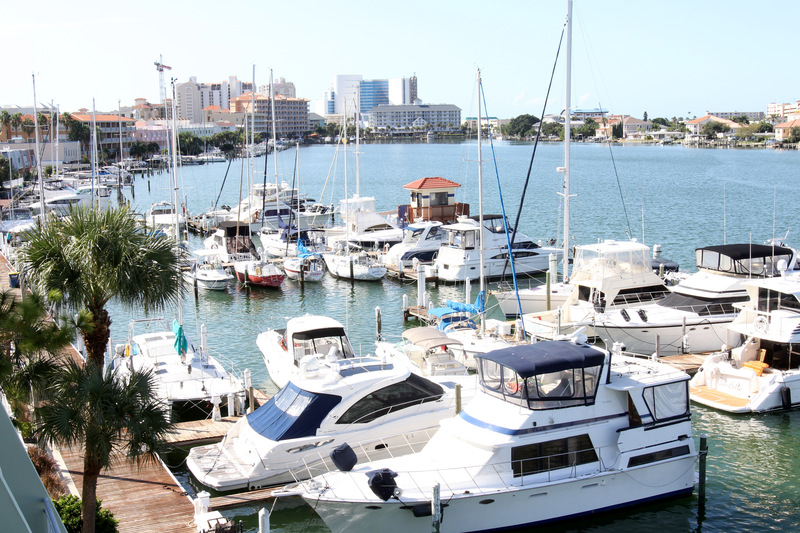 Enjoy a view of the city’s glittering lights or of Clearwater Bay’s boat-filled marina. 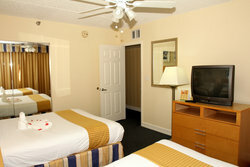 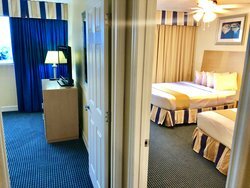 This room is perfect for group getaways, with two comfortable queen beds and plenty of space. Use convenient additional amenities like a mini fridge, refrigerator, telephone, TV, and coffeemaker. 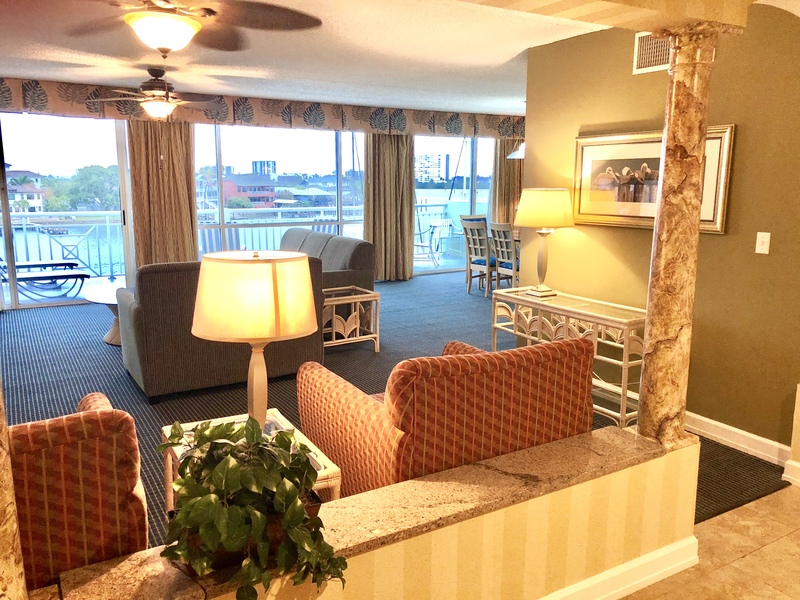 Enjoy boulevard views and luxurious space right on Clearwater Point in this King Suite. Sleep well in a plush king bed and kick back and watch TV in the living room area. The suite’s full kitchen is fully set up for cooking and dining, with a double stove top burner and full refrigerator, as well as glassware, dishware, and silverware for 4. 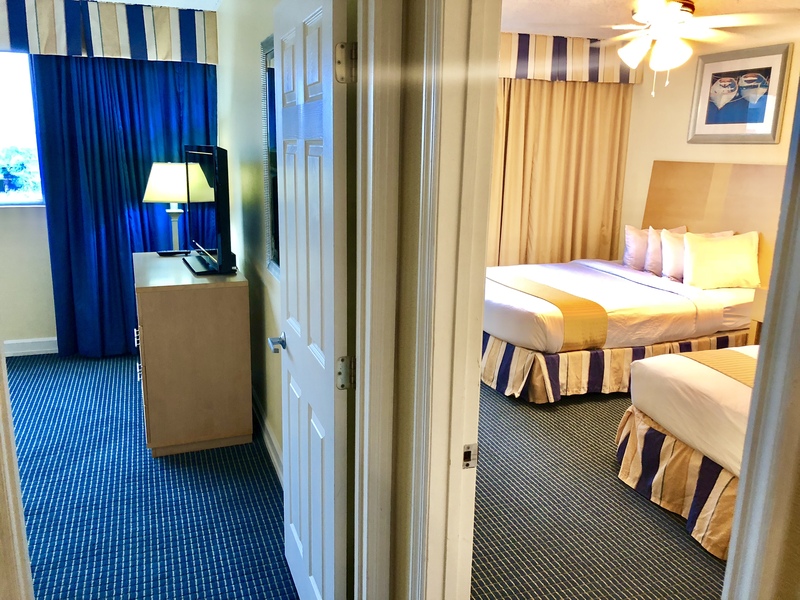 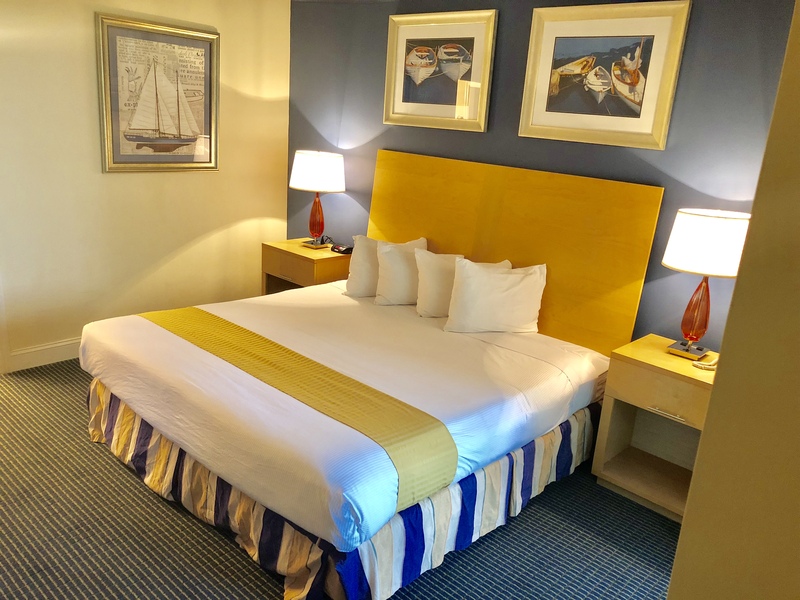 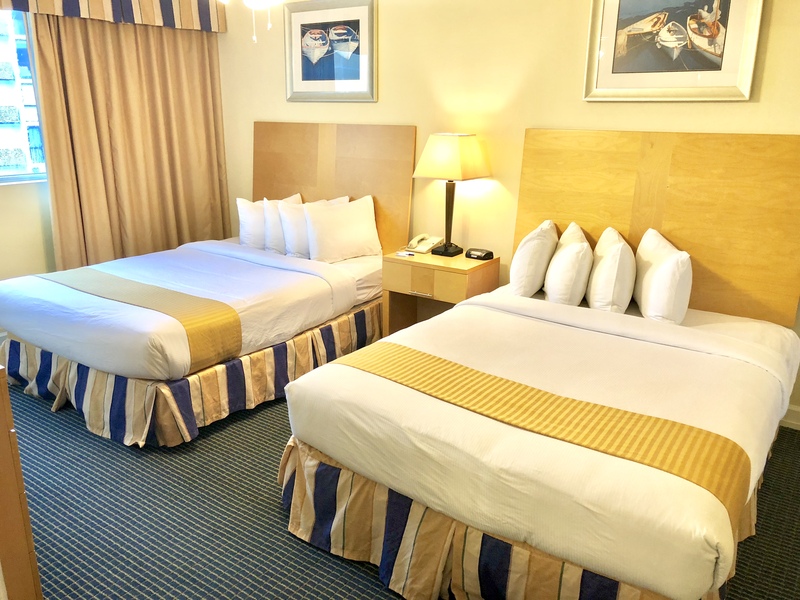 Enjoy an oversized suite with two luxurious queen beds and everything that a larger group needs to experience the best of a Clearwater getaway. 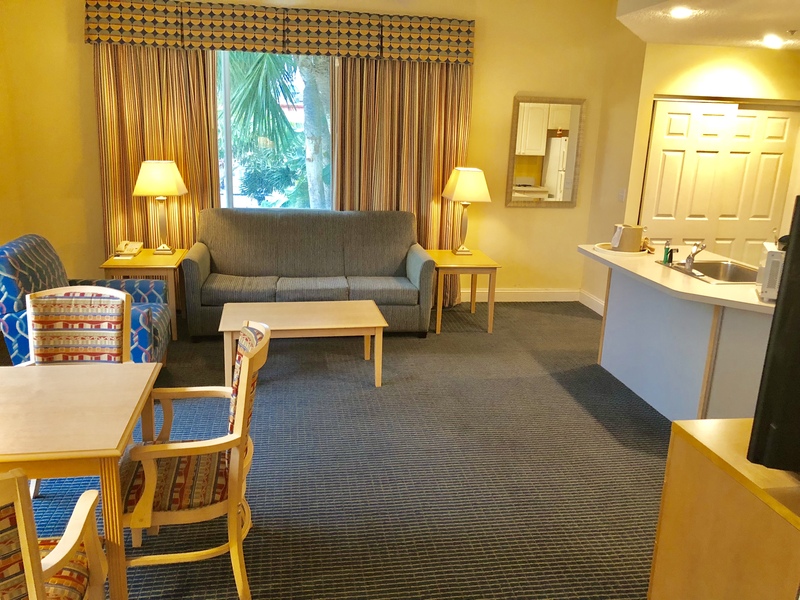 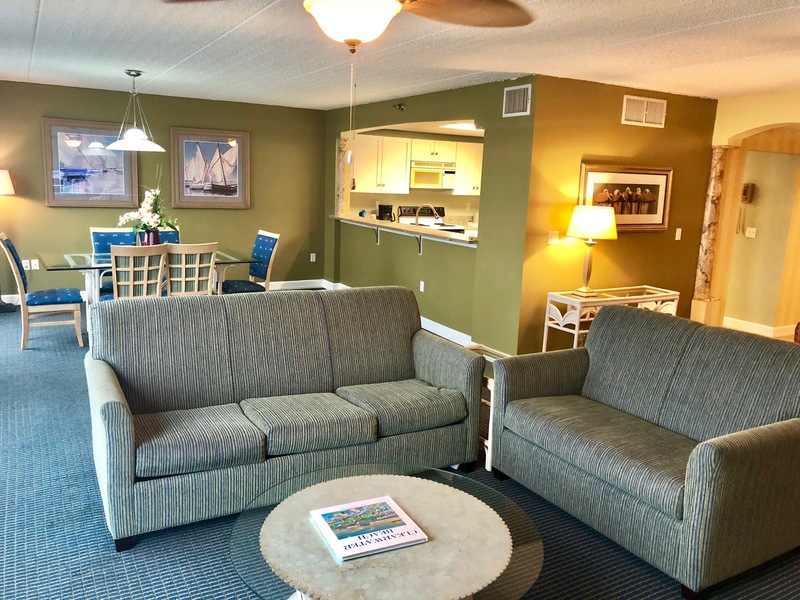 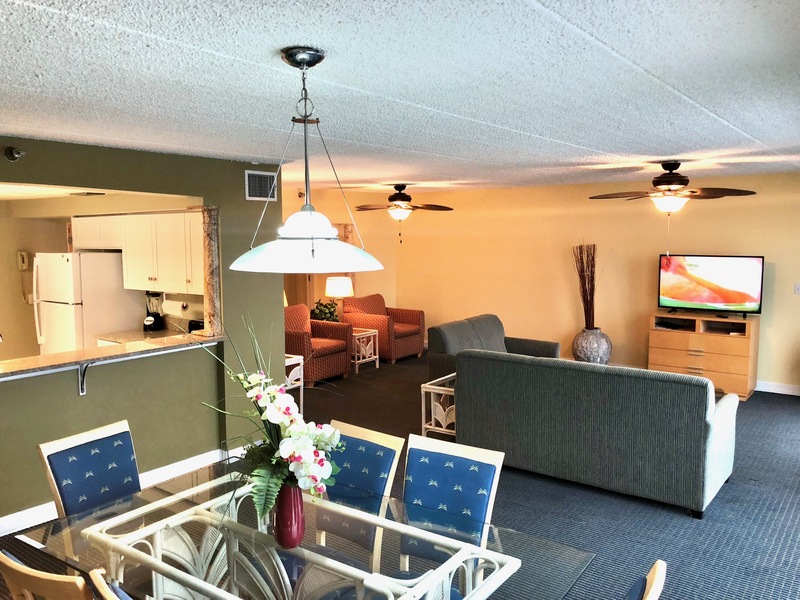 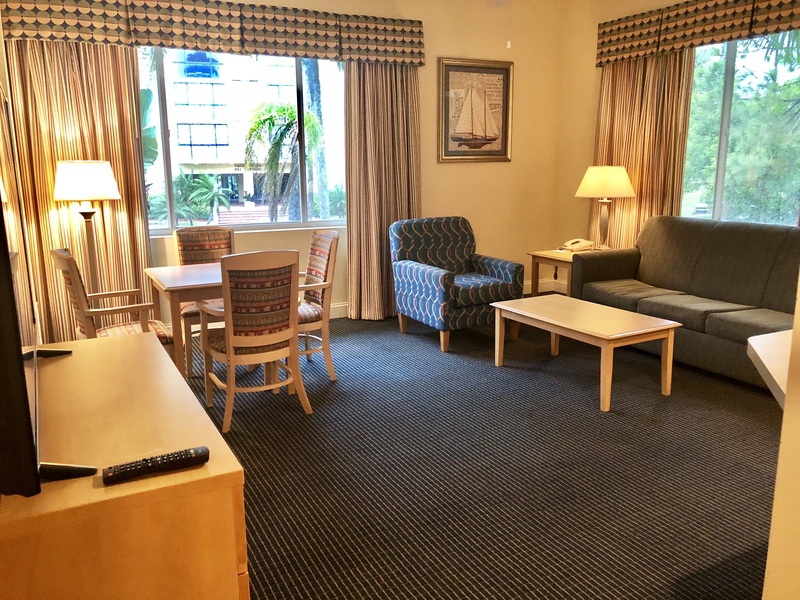 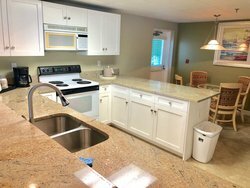 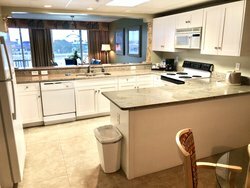 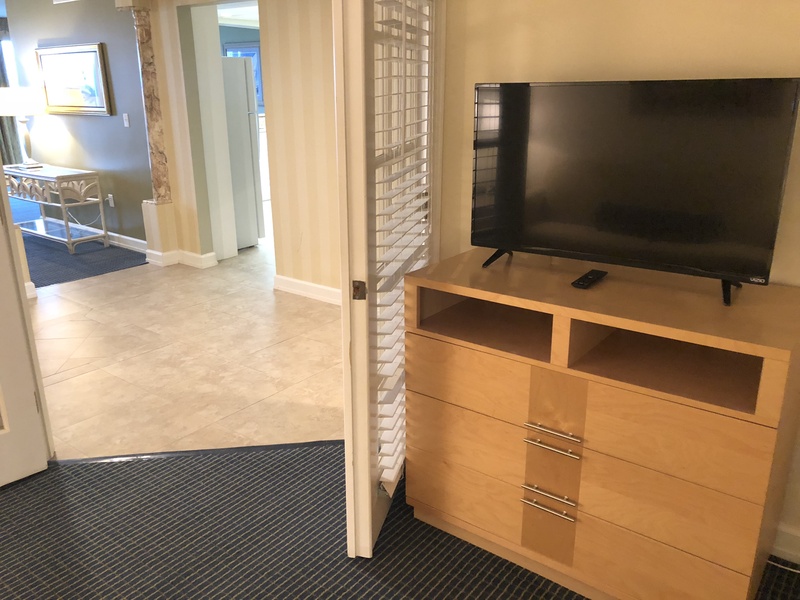 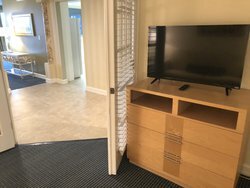 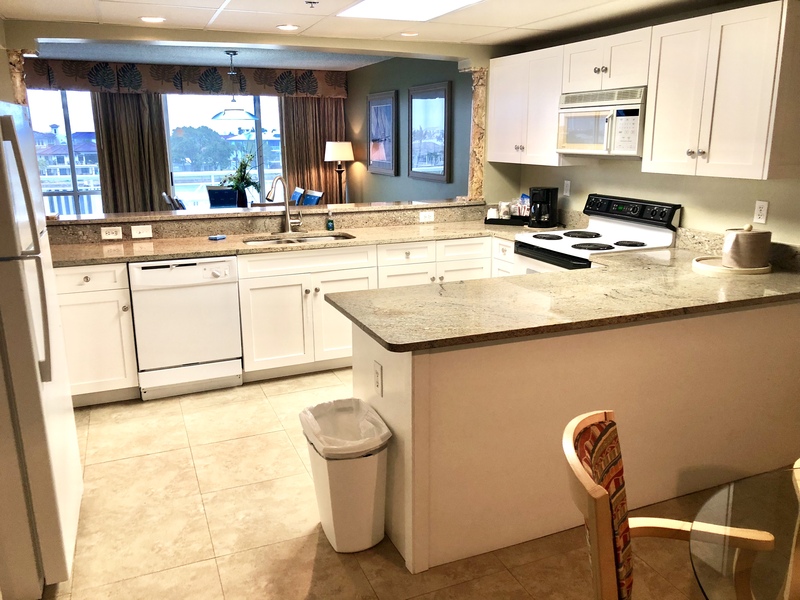 This suite in Clearwater Beach has a full kitchen and is fully set up for cooking and dining, with a double stove top burner and full refrigerator, as well as glassware, dishware, and silverware for 4. 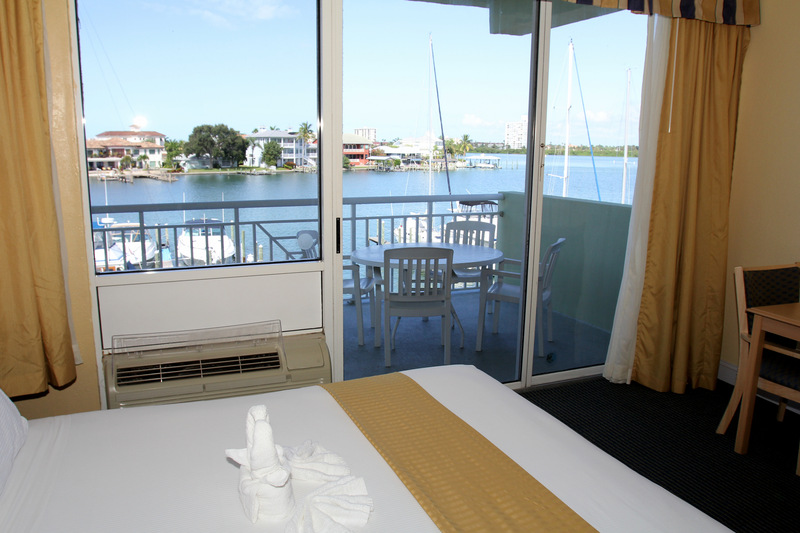 Our 1,800-square-foot suite opens out onto a furnished balcony overlooking the Bay. 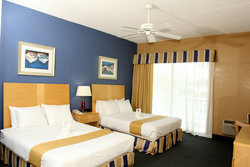 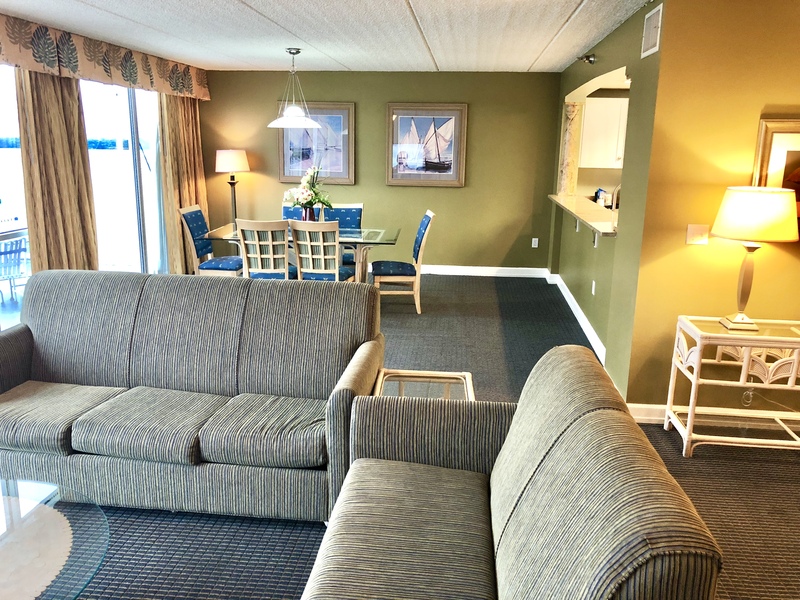 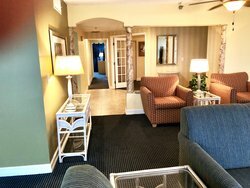 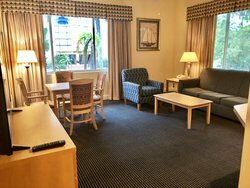 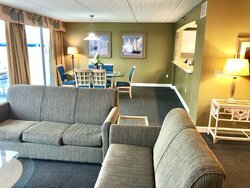 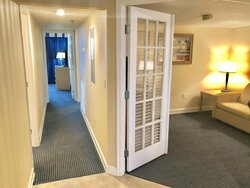 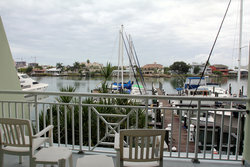 This is one of the largest suites in Clearwater Beach. 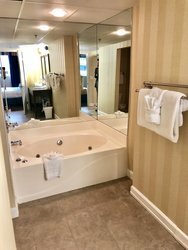 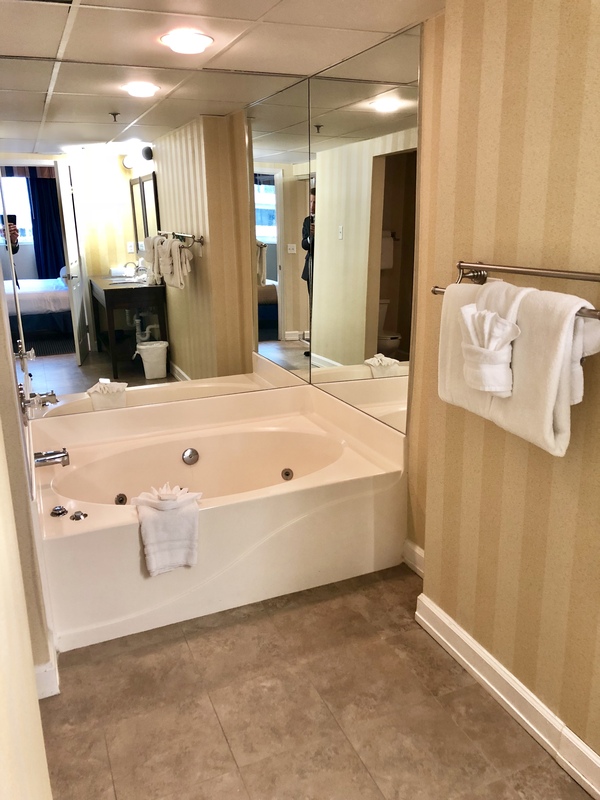 It includes a master bedroom with a king bed and TV, a master en-suite bathroom with Jacuzzi tub and shower, as well as a large walk-in closet. 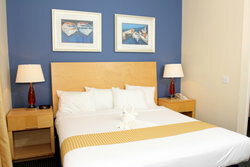 For additional guests, the Penthouse has a second bedroom with 2 queen-sized beds. 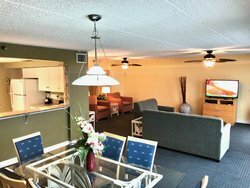 Come together in the den with an additional TV and queen-sized sleeper sofa. 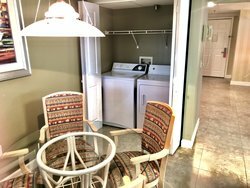 The kitchen in the penthouse includes a full refrigerator, stove, microwave, toaster, dishwasher, and a full washer and dryer. The Penthouse is available exclusively by contacting the hotel directly. 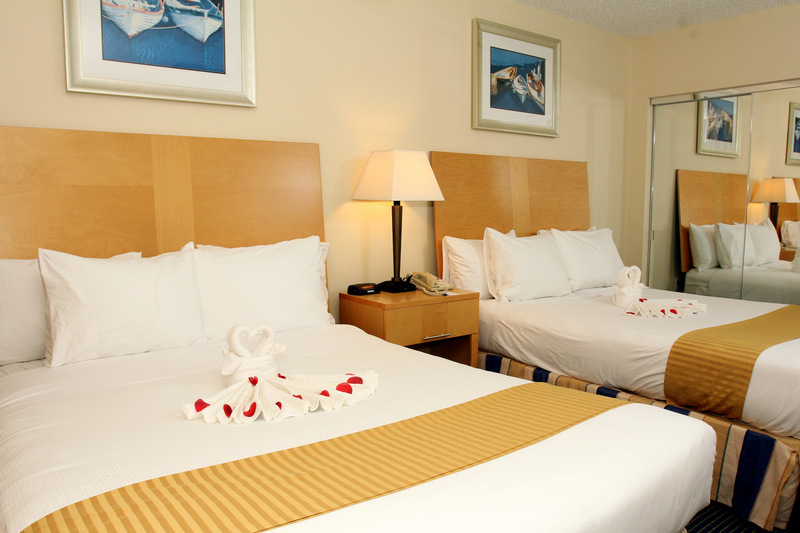 Get in touch for the most spacious room with extra privacy and luxury. 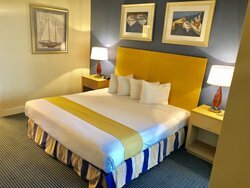 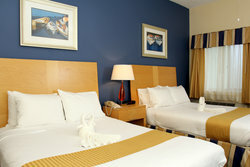 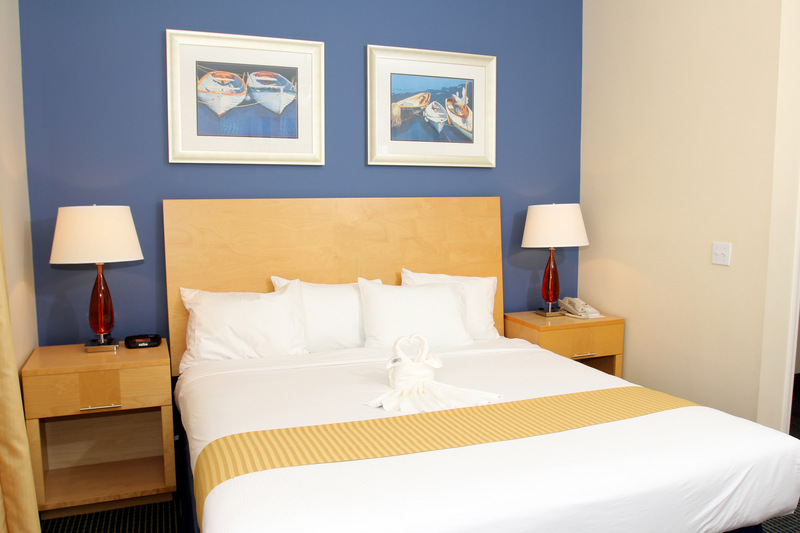 Enjoy a view of the city’s glittering lights or of Clearwater Bay’s boat-filled marina from this A.D.A compliant room. 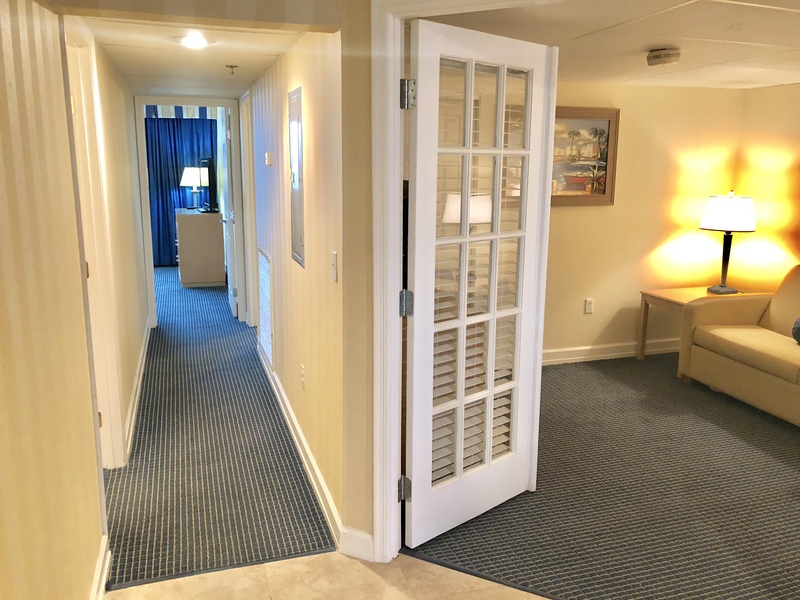 Our 2 Queen Bed Wheelchair Accessible Room has been designed with every convenience in mind to ensure that any and all accessible features have been considered. This accessible room is perfect for group getaways and offers two comfortable queen beds with plenty of space. 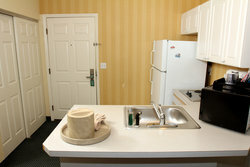 Use convenient additional amenities like a mini fridge, refrigerator, telephone, TV, and coffeemaker.